Many thanks to the students of the Leaders of Change Project who created this informative video! Procyon Wildlife is excited to let everyone know that we now have an education program to teach the young and old about wildlife. Each year, countless wild animals suffer harm at the hands of humans, either deliberately or due to lack of knowledge. A lot of needless suffering could be prevented by education. What you may think is an abandoned animal, may just be separated from its mother temporarily, as she forages for food. Call us at (905) 729-0033 to be absolutely sure! 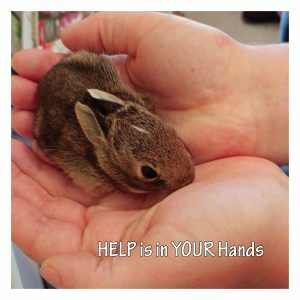 Or visit this link, What to Do if You Find Wildlife in Distress.